Back in the day, our dinner conversations were consumed with sharing our latest cubicle frustrations and rehashing client conference calls. On the road, these conversations are far more exciting with questions like, “What’s your favorite island?” a typical precursor to a passionate, dinner debate. Let me tell you a little bit about my island. His name is Korcula, and we fell in love off the coast of Croatia under the hot, August Mediterranean sun. I fell hard for his rolling hills and indented coves and simply couldn’t resist his turquoise waters and secluded beaches. After discovering the medieval cocoon that is his Old Town, I was smitten. Yep, Korcula is the one for me. After a drive up the scenic, unspoiled coastline of Croatia, we sailed into the island of Korcula. 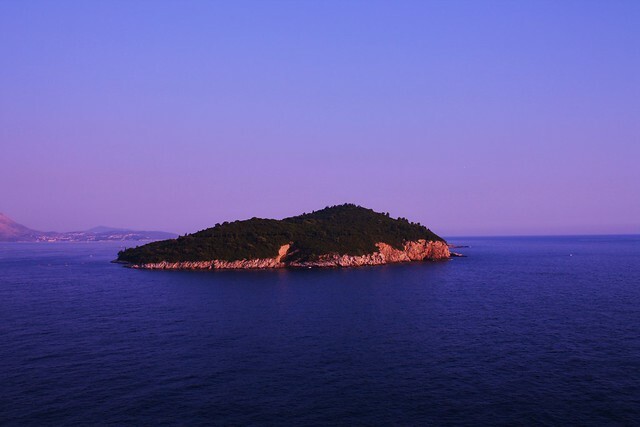 This is Croatia’s largest island in an archipelago of 48. It sits at the southern end of the country just a few hours north of Dubrovnik. Gliding in on the water, we caught our first view of Korcula town, a red roofed labyrinth of stone homes and ornate buildings. 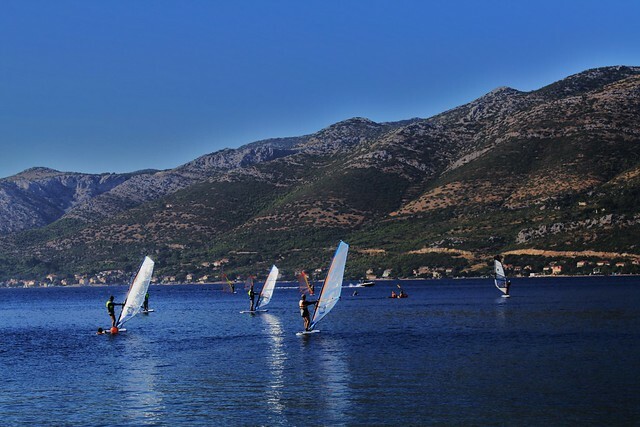 In the 10th century, Venice controlled much of the Dalmatian coast, including Korcula. In this once important Venetian city you can still see the influence of its former ruler with the gothic, renaissance and baroque architecture. 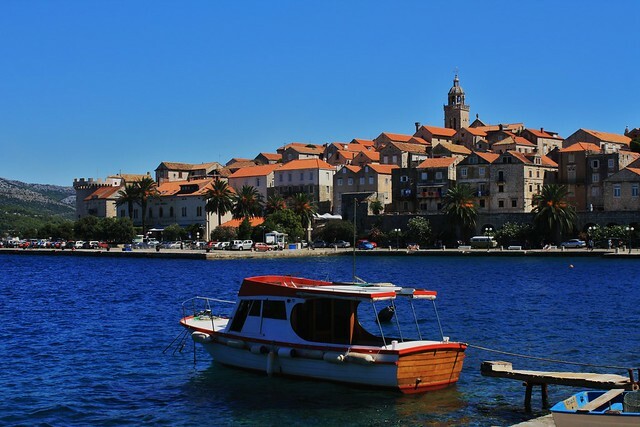 In other Korcula history lessons, Marco Polo was born on this island and the town makes a big deal of their superstar explorer. Here you have the chance to visit his house and a small museum detailing his famous voyages. 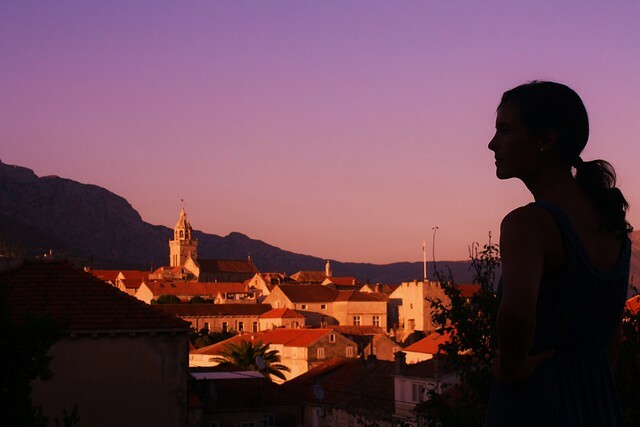 We rented out a room in a home sitting just above Korcula’s Old Town. It’s here, on our patio under a trellis of grapevines, we spent most of our time taking in the view just below. With no set agenda for our days, we passed the hours with our books and journal in hand watching the lighting change over the medieval town while listening to the symphony of bell towers chiming in unison. When we were feeling a bit more energized, we took off on runs around the island and spent a day venturing off to some secluded beaches. With a strong recommendation for Korcula’s most beautiful beach, we hopped on a bus to the southern end of the island. Winding down a dirt path through the vineyards we came upon a rocky shore with crystal clear waters and a backdrop of pine forests and towering mountains. This was the perfect spot to spend our day. The only thing missing? Bathing suits on all other patrons. Yep, we found ourselves on a nudist beach! By night, we scoped out a seafood joint where we soon would become regulars. Sitting in the alleyway of the narrow streets, we sipped on Croatian wine and dove into mounds of fresh mussels. We even had a local Klape group (an acapella form of music) singing folklore tunes under a stone archway. As the traditional music flooded the narrow streets of Old Town, we had the perfect soundtrack to our nightcap: gelato! 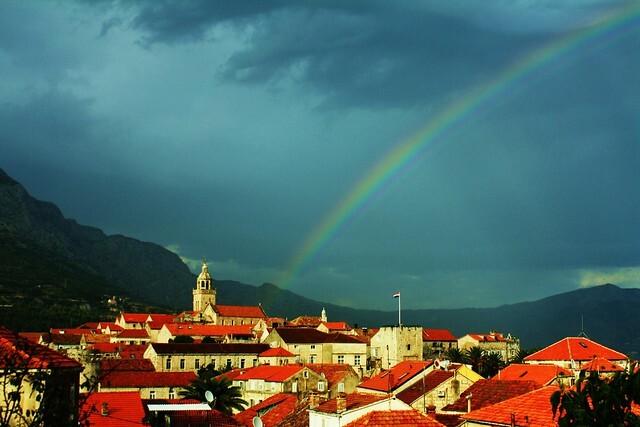 Yes, Korcula, he is my perfect island. Actually, do you think a month is too long. We will be working remotely for part of our trip so the plan is to find a few charming and livable stops along our travels to stay put and do some work.